Tippd - Last Man Standing - The best way to play Last Man Standing with your mates. The easiest way to play Last Man Standing. Playing Tippd – Last Man Standing is very easy and you can play against real matches in the Premier League (EPL), AFL and NRL (more coming soon). Simply select one team each round that you think will win. If your team wins, you will progress to the next round, if your team loses or draws then you are out! You cannot choose the same team more than once in a game, so you’ll need to be strategic! The Last Man Standing is the champion. Last Man Standing is easy to play, you can be up and running in minutes. Tippd currently supports Football/Soccer (English Premier League / EPL), Aussie Rules (AFL) and Rugby League (NRL ). Tippd is made to be a fun, social game. Easily join, share and play games with Google and Facebook. Tippd is available on Google Play (Android) and the App Store (Apple / iOS ). You can also play through your mobile browser without installing any apps. Find out who is the real champion amongst your friends! Which strategy will work best? Tippd is not a season long tipping comp, the game only runs until you find the Last Man Standing. A fun and exciting format. What is Tippd - Last Man Standing? Last Man standing / Survivor is a simple and easy way to run a tipping competition amongst your friends. The concept is very simple, select one team each round that you think will win. If your team wins, you will progress to the next round, if your team loses or draws then you are out! It sounds simple but there is some strategy involved, you cannot choose the same team more than once in a game, so you’ll need to think ahead! View the full set of rules here. Why Tippd - Last Man Standing? We love football, and as a group of football fans we’ve played LMS for a long time with work colleagues, friends and family , running the games via whatsapp and keeping track on a spreadsheet. This wasn’t very fun! Following up players each week to ensure they get their tips in and resulting each game. We thought there must be an easier way. After searching online for a solution we found nothing that could do this and so Tippd was born. Tippd lets you get a game up and running in an instant. Create the game, share it with your friends and off you go. Let Tippd manage all reminders, notifications, scoring/results and communications. How can there be strategy with a game like LMS/Survivor you ask? It sounds simple right, but with the rules stating you can only choose each team once in a game you will need to be thoughtful with your picks. Will you use the top 4 teams first and start off safely? This might seem smart, but probably something most other players will have thought of also, which means there could be more players through to the next round. Do your research and look for possible upsets, and you may be able to keep some of the big teams for the business end of the competition where other players may be forced to choose the outsiders! 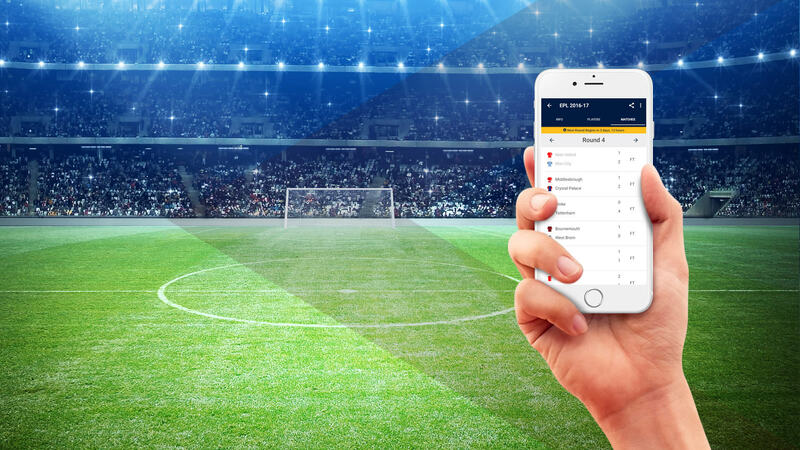 As with all sports, anything can happen – give yourself an advantage by keeping up to date with injuries, suspensions, home/away form and anything else that could make the difference. Which Sports / Leagues are supported? If you’d like to see a League/Sport added, please contact us. What is the maximum number of Players in a Game? Currently the number of players per game is set to a maximum of 1000 players. If you would like to run games with more than 1000 players, please contact us. What are Credits (¢) ? Each player starts off with a number of Credits which can be used to join games which have a Buy-In set by the Admin. Playing for credits/points keeps it interesting and lets you track who is winning and losing. You can setup a game to play for Fun/Free, or you can set a Buy-In of a nominal amount of Credits. As more players join a game you can track the size of the Pot and see how much could be won. The winner of the game wins the total credits in the Pot. Credits have no monetary value and are completely free, it is simply a virtual currency. If you run out of Credits, you can top up your credits for free in the app, simply follow the instructions. Tippd has evolved organically from a bunch of mates playing the game via spreadsheets to now releasing the app version and we’d love to hear feedback/comments/suggestions on how we can improve things. Please contact us, we’d love to hear from you. Why can't I see my Games? If you have logged in and cannot see your games, it’s possible when you first created your account you logged in with Google and/or Facebook or vice versa, please try both methods and see if your Games show up. We currently offer 2 different ways to sign in to Tippd, via Google or Facebook login and we create your unique Tippd account using the login method. At this stage we have no method to link your Facebook/Google logins together. This will be resolved in a future release. Tippd is made to be social, invite your friends and find out who is the champion!